The Air System technology improves the internal climate of footwear thanks to the special perforated insole, air grooves on the sole, and the check-valve with one-way permeability. 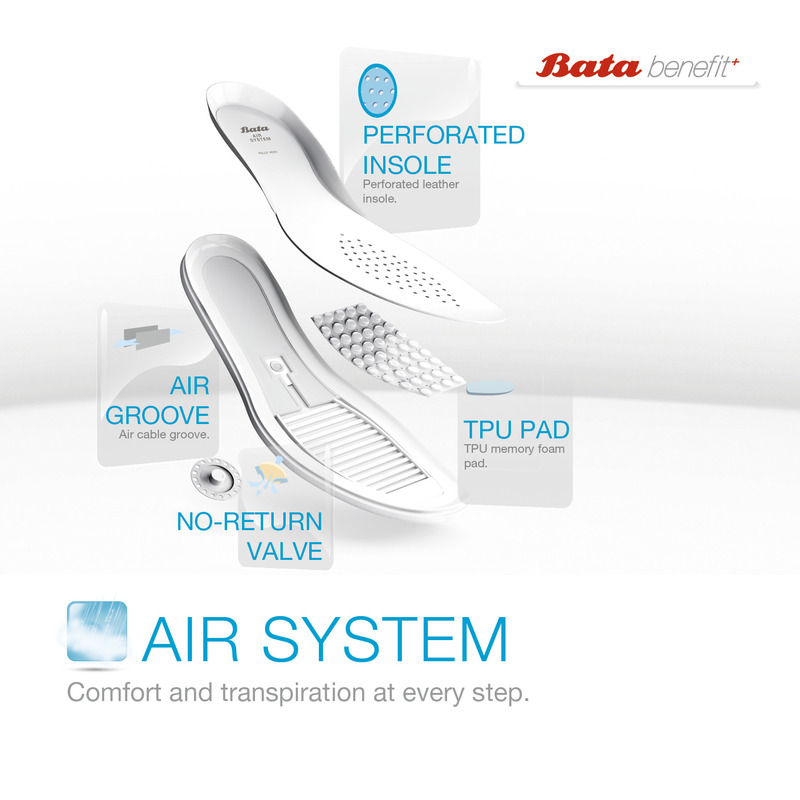 Excess air is discharged from the footwear during walking and internal air circulation is ensured, which increases comfort and the feeling of freshness. View the Air System footwear in the current collection HERE.